Once banished from the table by carb-fearing dieters, the humble potato is making a comeback. Most people don't realize that the potato is actually very nutritious. Naturally low in fat, this versatile vegetable can be served in a variety of ways and is the perfect starchy comfort food to enjoy as the weather turns colder. The potato provides substantial nutrition for a few calories. 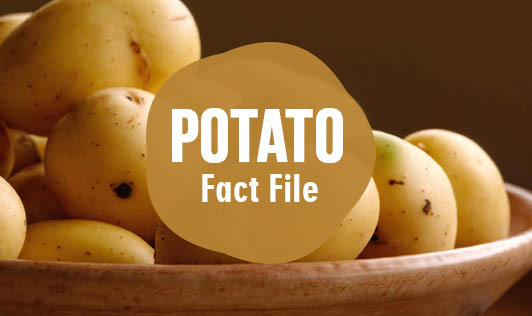 One small potato essentially contains no fat, sodium, or cholesterol, and is also quite low in calories. In addition, it provides 45% of the daily recommended value of Vitamin C and is a good source of potassium. Potatoes have earned a bad image because they can be eaten in many unhealthy ways, such as French fries, potato chips, tikkis, etc. However, if prepared in a healthy way, with the skin included, they can be very nutritious. Potatoes are mounds of carbohydrates, which makes it an ideal diet for those lean and thin who desperately want to put on weight. The vitamins like vitamin C and B-complex also help in proper absorption of this carbohydrate. Potatoes are easy to digest. This property makes them a good food for patients, babies and those who cannot digest food well but need energy. Vitamin C and B-complex and minerals like potassium, magnesium, phosphorus and zinc are good for the skin. Apart from that, pulp obtained from crushed raw potatoes, mixed with honey, can serve as excellent skin and face packs. Potatoes are also beneficial in hemorrhoids due to their high fiber content. The potassium content, available in potatoes, helps in maintaining fluid and electrolyte balance in the body cells. Fact: Nutritionally speaking, a potato is about 80% water and 20% solid and pretty much as stocked up on nutritional value. If it is eaten in all its goodness-baked, mashed, boiled, roasted, steamed or stewed it is not fattening at all. While a simple baked potato would boast not more than 100 calories and no fat, a small packet of French fries would easily account for around 210 calories in addition to extra fat. Fact: Potatoes contain complex carbohydrates, which are absolutely essential for the energy needs of the body and brain. Most of these carbs are present in the forms of starch. A portion of this complex carbohydrate which is resistant to digestion by enzymes in the stomach and small intestine, reach the large intestine almost intact and provides the body with its much required fiber needs. Remember, the only way to enjoy the full nutritional benefits of a potato is to eat it with the skin. Add potatoes to any soup or stew. Enjoy roasted potatoes seasoned with herbs. Eat mashed potatoes with skin included, prepared with low-fat milk. Enjoy baked potatoes, without butter and sour cream. Skewer potatoes with other vegetables and meat on kebabs. Create healthy french fries by baking - never deep frying - your potatoes. Add potatoes as filling for parathas and lasagnas.